measure and display the current&voltage value in the electrical circuit with digital direct reading method. The meter can be used as normal digital Ammeter��Voltmeter, it can also be used as current/voltage transmitter with the function of displaying one measuring value by installing the analog input module. It can be used as current/voltage data collector with the function of displaying one measuring current by adopting RS-485 digital communication module, it can also be used for protecting over-limit alarm of normal current��voltage by adopting the relay input module. Besides, by adopting all the three function modules, it can be a multi-functional network electric meter, which has measuring, alarming, transmitting, communicating, etc. functions. 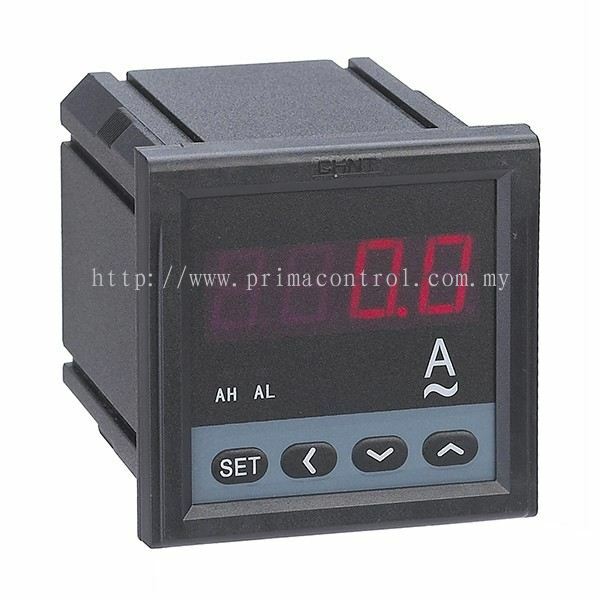 There are programmable keys on the panel, which can program and set parameters including transformer rate��upper and lower limit alarm value��communication address of the meter��communication baud rate��transmitting output method��transmitting output range, etc. parameters.